"The essays in this volume pay tribute to the achievements of RenÚe C. Fox in the fields of medicine and sociology. Many of the contributors are Fox's colleagues and former students from medicine, sociology, nursing, and bioethics. 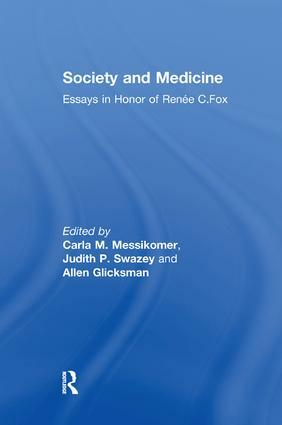 The title--Society and Medicine--reflects the leitmotif in Fox's work: her studies of and teaching about the nature of medicine and medical research; the training and work of their practitioners; the interrelationships between medicine and the societies and cultures of which it is a part; and, above all, the moral and spiritual dimensions of the healing arts."